Part of a traditional antique brass plated lighting range. Antique brass single wall lamp, with a detailed circular wall bracket and a wire braced arm holding an upward facing opal glass shade. 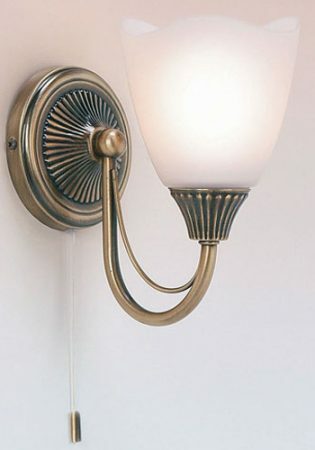 A lovely traditional wall light with a pull cord on / off switch.